Vocalise : for piano / Elena Kats-Chernin. 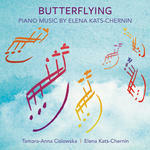 Performance by Tamara Anna Cislowska from the CD Works by Elena Kats-Chernin, Annie Kwok, Christopher Willcock and Richard Mills. 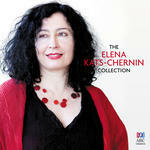 CD: Works by Elena Kats-Chernin, Annie Kwok, Christopher Willcock and Richard Mills.